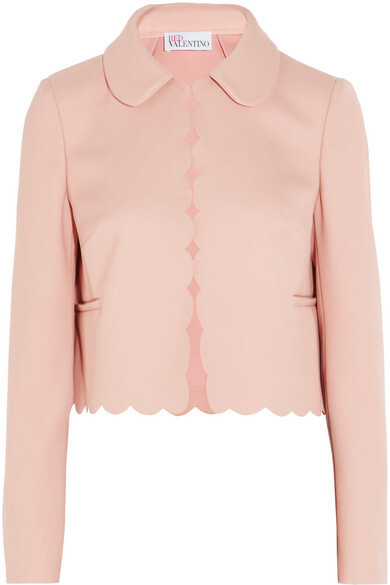 REDValentino's jacket is made from lightly structured stretch-twill in a soft blush hue. 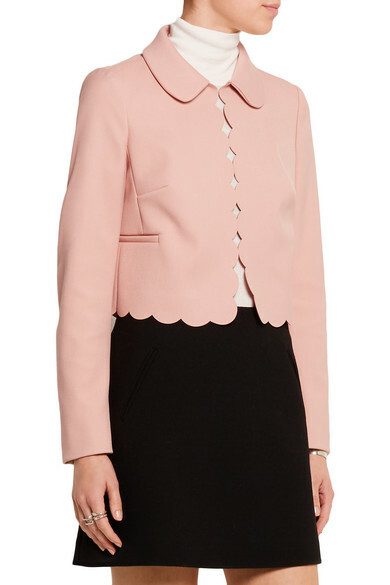 Tailored for a cropped, boxy fit, this elegant piece is detailed with scalloped trims and a feminine rounded collar. 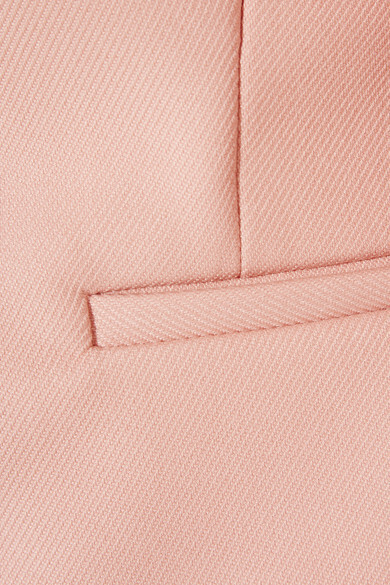 The lustrous satin lining ensures it sits smoothly over shirts or sweaters. 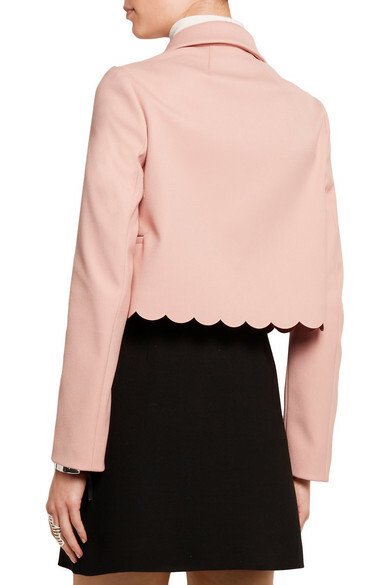 Shown here with: Rick Owens Top, Marni Skirt, Valentino Pumps, Victoria Beckham Clutch, Arme De L'Amour Bracelet, Arme De L'Amour Ring, Bottega Veneta Rings.